Can you spot the Elf hiding in this Evergreen Forest? With consumers well and truly in the Christmas spirit after a weekend of Black Friday shopping, we have come up with this eye-boggling brain teaser that asks challengers to spot the elf hiding in the evergreen forest. Can you spot him yet? There are a number of confusing elements to the puzzle, such as Christmas trees with snow on them, and a golden mountain trail that draws your eye away from Santa’s little helper. 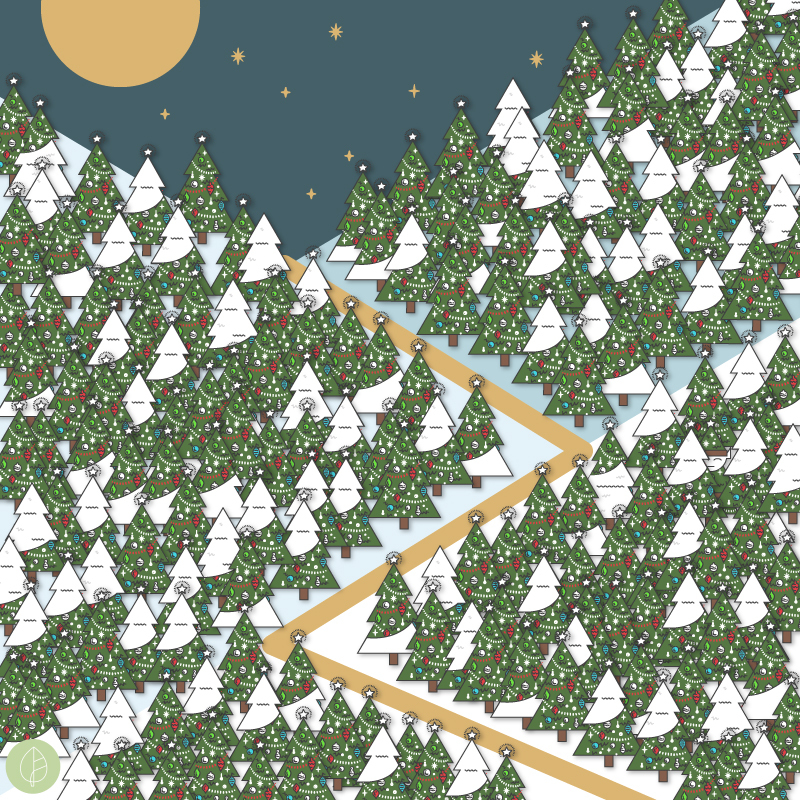 The puzzle was created to remind users that wrapping paper and gift cards can be recycled this festive season, as they plant 10 new trees for every e-card order made.